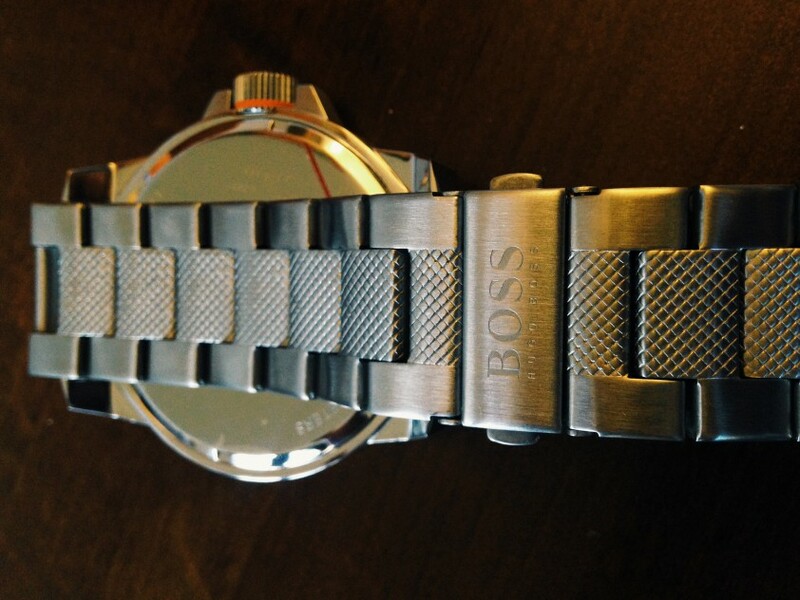 As you can see this is the 2nd part post of my collaboration with Boss Orange watches and I am very excited to share with you this watch that they had kindly send out to me with a few other gifts! 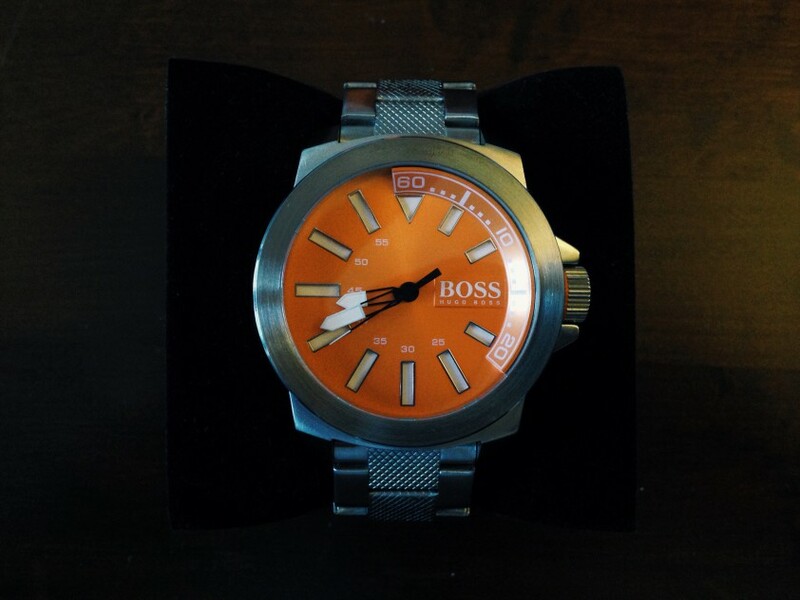 So here we have one of the new watches from the BOSS Orange Collection which they sent out to me so I can test it out and all that jazz! When I received my watch it was pretty clear how sturdy this watch was, made from stainless steel and waterproof up to 30m I knew this is a watch that can last you a while! I’ve never really been a stainless steel link watch wearer (if that makes sense haha) I’ve always gone for a leather strap watch but now i’m growing up and starting to wear smarter outfits i’m starting to like these style of watches a lot. I haven’t had any problems with the watch, so on the mechanical side of everything is just right. One thing I must say though, I really like the orange face of the watch, since i’ve had the watch i’ve got a lot of good comments about the watch and I think thats because the bold orange face has just caught their attention. I mean, it’s always good if people recognises a good watch, otherwise why have one ey? 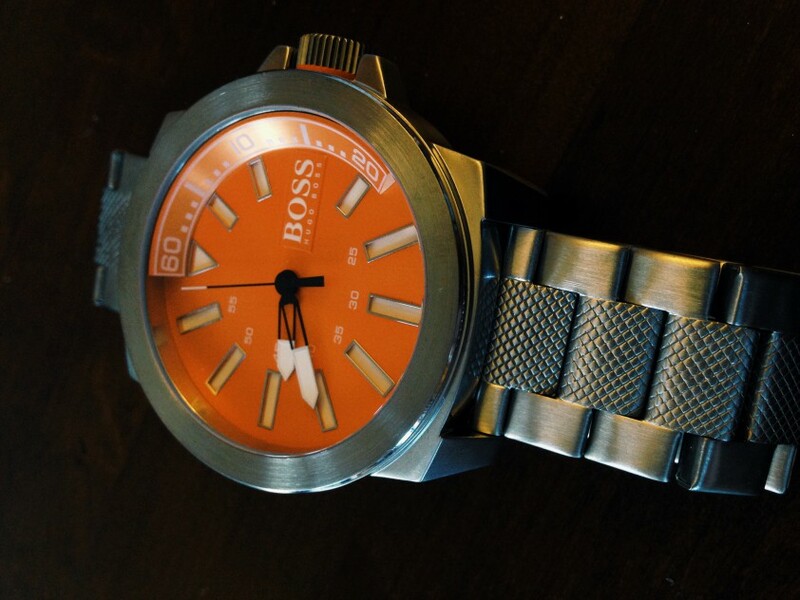 You can find the collection here ‘Boss Orange Watches’ ! In the next part we will giving away a watch to one of you lucky readers! 😀 So don’t go anywhere! !